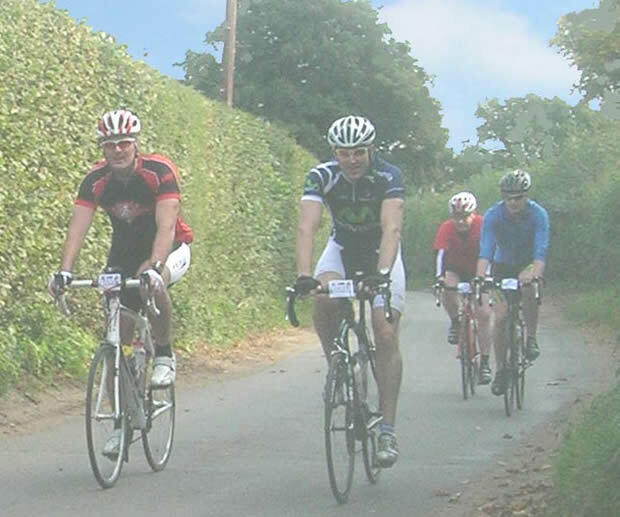 Big cycling events are on the increase whilst biking generally in the Park seems to be growing - a good thing in many ways as it brings business and life to towns and villages which have seen their traditional tourists depart elsewhere. And as a form of exercise should be encouraged for health reasons in a sedentary populaton which ours has become, particularly since the arrival of the digital age. However, there is already a clash with other road users - walkers, equestrians, farm tractors - which bodes ill for public safety, especially on narrow, single track lanes with passing places like Hollist Lane, Midhurst. Hollist Lane is a popular cut through from Easebourne to the Petersfield Road and to the lane which goes to Liphook. Between 4.0pm and 5.0pm daily I can vouch for the crazy amount of traffic it bears as I often go that way myself at that time. Woolbeding Gardens is on a spur to the A272 Petersfield Road. The bridge over the River Rother sees a daily dodgems game, but miraculously, so far, good manners and unselfish behaviour has prevented crashes - so I'm led to believe!. Potholes are growing in an alarming way, especially towards Easebourne and often can't be seen in tree shadow. Hollist Lane has been used for mass cycle events. With one such event I noted cyclists swishing along taking up the whole road. What notice, if any, do local farmers get of these events. When bringing in the harvest huge, fast-moving tractors speed down Hollist Lane taking up the full-width, and quite rightly in my view, expect to have the right of way.